Our program encludes a number of readers varying from a simple handheld reader that just shows you the transponder number to a sophisticated reader and software combination to introduce not only the transponder number but also a number of observations codes etc. 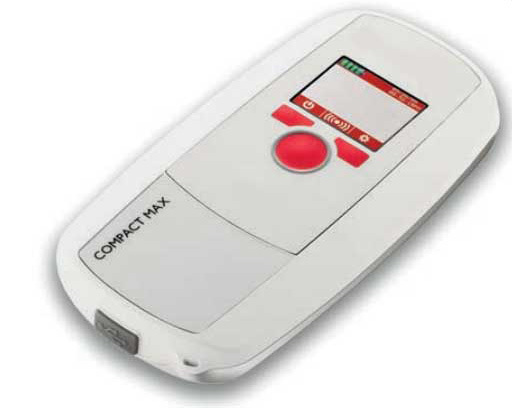 Compact Max This small handheld reader allows you to quickly scan the animal for its identification number; which will than be shown in the display. For more detailed information - click on the image. MULTI 572 Reader This small Pocket Reader with USB interface reads UNO Micro ID and UNO PICO T ransponders, Trovan® Unique & Flex, ISO FDX-B, Destron, AVID (fecava, ASK, PSK1, PSK2 and AVID encrypted transponders. 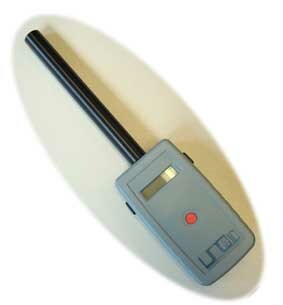 PICO Reader is the same reader as the MULTI 572 Reader but equipped with a lengtened antenne to point towardds the animal while it remains in its cage for reading the transponder. ISOMAX V This larger handheld reader with an internal memory for upto 2.000 transponder numbers, is an universal reader that reads ISO transponders and is backwards compatible with almost all transponder types currently on the market. For more detailed information - click on the image. GESREADER 2S This small handheld reader is one of the most advanced readers available today. This reader not only reads the transponder ID number but also allows you to create your own code or test number and permanently connect this to the transpondernumber and formulate upto 10 observations codes. For more detailed information - click on the image. LABMAX II A stationary reader for on-line data collection. The permanent reading display allow you to fully concentrate on the animal to be handled.